The most demanding conditions require a different kind of tool, whether it’s a strong head wind, a fish at a distance, bulky rigs, or a heavy sink tip. 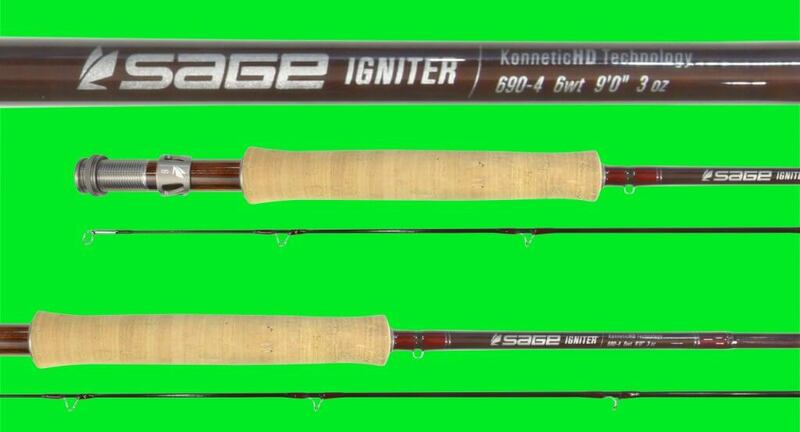 The new Igniter from Sage is tuned to handle the most technical of conditions. This is not a rod for the everyday angler, the Igniter is equipped with a high line speed taper to carry large amounts of line at distance with wind cutting performance. This rod is absolutely perfect for streamer fishing with heavy sink tips or covering big water when conditions turn south. Made form quality materials, like Fuji ceramic stripper guides, hard chromed snake guides, KonneticHD technology, laser etched line weight on slide band, Sage retains its reputation for being some of the best fly gear available anywhere. The rod also comes with a black powder coated aluminium rod tube with a Sage medallion. If you bring the will, the Igniter will supply the way.